247 Magazine: March issue out now! The March issue of 247, the award-winning free monthly music and lifestyle magazine which I edit is out now – free in bars, pubs, clubs and cool shops throughout the South West of England. As ever, putting together this month’s issue of 247 has been a real pleasure and a whirl of activity. From interviewing the legendary DJ Eddie Halliwell, who is making a are appearance in the South West this month to directing a gaggle of contenders from our Student Model Search competition on this month’s fashion shoot there hasn’t been a dull moment! 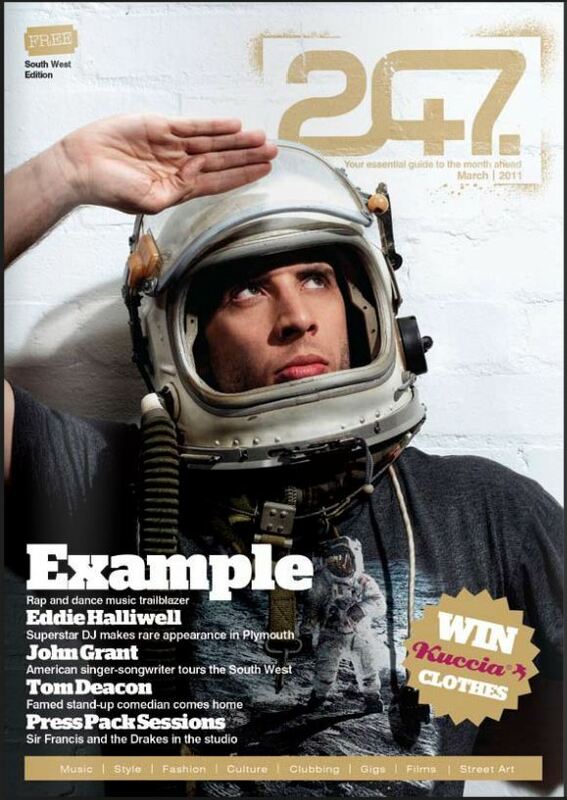 Interviews this month include rap and dance star Example and stand-up comedian Tom Deacon. If you’d like a look but can’t pick up a copy read it here.